Not a lot has picked up in the way of Irish rugby since the anticlimactic experience that was the World Cup. In fact, only one of four games played the provinces has been won, Munster’s bonus point victory over Pro 12 minnows Treviso. Ulster V Oyonnax and Munster V Stade Francais were of course postponed due to the Paris Attacks too and as a result, that leaves Leinster 0/2, Ulster 0/1 and Munster 1/1. With the bulk of Joe Schmidt’s international squad consisting of Leinster men since his take-over, European form would suggest that there could be a bit of an overhaul in the national team but rather worryingly, the alternatives to the regulars who have disappointed as of late are few and far between. However, those who have stood up to be counted have done so convincingly and under superior coaching than at club level, a third consecutive Six Nations title may remain a likelihood in 2016. The beefy Ulster centre offered a glimpse of light throughout their thumping to Saracens in Ravenhill and although it wasn’t a performance that will always last in the memory, the youngster impressed, especially when you account for the conditions and the service of Paddy Jackson on the night. Irish fans would imagine that Schmidt is still on the hunt for a permanent centre partner for Robbie Henshaw as Payne and Earls have both displayed respective weaknesses whenever occupying the 13 shirt and therefore a Henshaw / McCloskey pairing remains a possibility. Perhaps the common physical enforcement of the duo might result in a lack of creativity but based on recent form, there is no doubt that the 23 year old will find himself in at least the Ireland Wolfhounds game and beyond. Similar could be said about the slightly more inexperienced Leinster ace Garry Ringrose but where he lies in the international pecking order remains to be seen. McGrath brought a bucket of abrasive energy from the bench for Leinster against Wasps and Bath when all looked lost and not only improved the scrum but utilized his aggression in carrying, tackling and rucking all around the field too. Considering the form of the regular Leinster and Ireland loosehead, this season could be huge for him and if he keeps this form up going into the Spring, McGrath has the capacity to make the Six Nations team of the tournament. 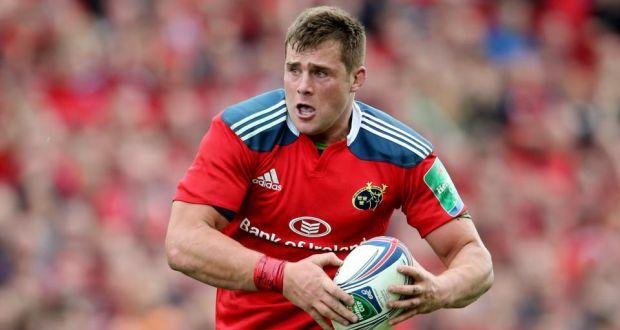 Likewise to McCloskey Stander is of course uncapped for the Irish but his display in Munster’s blitz of Treviso left a timely reminder to a European audience that he means business, regardless of the competition. His passion and power has let Irish rugby fans watering at the mouth for about two seasons now and now his time has surely finally come. The South Africans level of performance compounded by the form of the Leinster backrow and the doubts over Tommy O’Donnell & Peter O’Mahony would suggest that the winning of a first international cap in February is inevitable. On the fringes of breaking into the first team this time last season before injury and now although he had a positive impact off the bench for Munster against Treviso, it’s not the kind of impact he would have liked to have had on the game. The 6’6 second row’s place in the Munster team is simply a testimony to his poor form as of late and although some will blame this situation on the signing of Australian lock Mark Chisholm, surely even the man himself will admit that right now his standards that were shown against Georgia a year ago are now just a distant memory. Big Dev has been generally analysed as ‘anonymous’ in reflection of Leinster’s two Champions Cup defeats to the hands of Wasps and Bath and without Paul O’Connell, it would seem that Ireland will need to adapt roles to their locks better than how Leo Cullen has done at provincial level. With Iain Henderson and Donnacha Ryan going strong in the neighbouring provinces it isn’t looking like clear sailing for Toner although he hasn’t let Ireland down many times over the last year. The most heavily criticised player in Ireland at the moment (apart from the usual Duncan Williams and Zane Kirchner hater brigade) has not been done any favours by the excellent McGrath, Cronin or Kilcoyne who must now be breathing down the Belvedere beast’s neck as he has failed consistently to inspire with his ball-carrying or scrummaging malice of old. It has been a tough twelve months with injuries but his response on the field has forced his team coaches to have some tough times too – with selection headaches. 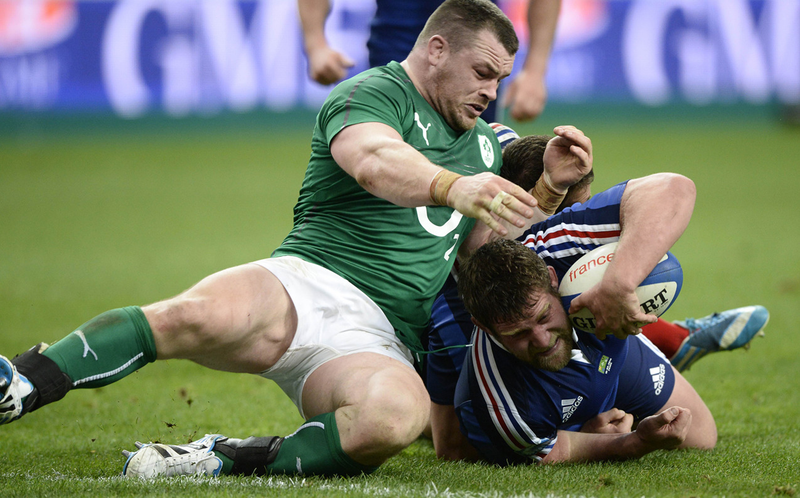 All Irish fans will agree that without Cian Healy at his best, the team is a weaker one. However, with Healy now at a career low, the responsibility must be passed on.